Grand Prom Growers Market in Bedford. BEDFORD residents and businesses will be surveyed on how the suburb’s shopping precincts can be improved. Bayswater Council supported the community survey, which is part of a draft community engagement plan at the March 26 council meeting. Residents, businesses and businesses from beyond Bedford will be able to have their say from April to May via mailed letters, hard copies and online copies on the Engage Bayswater website. The council will consider a report on the results and recommendations by June. According to an officer’s report, the purpose was to seek feedback and inform the City’s future approach in rejuvenating Bedford’s five main precincts. However, there are currently no budget funds allocated to implement proposed actions from the results. Councillor Michelle Sutherland said she was interested in what residents wanted to see happen in the area. 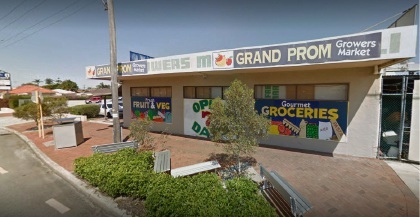 “It is an older, established area and you don’t hear much but I do think once we get out there, I think we might hear a bit of what can be done and hear what local residents think should be done in that precinct,” she said.